You'll love it 'cause they'll lick it! It's a different "twist" on oral gel applications. Twist-a-Taste® oral-gel applicators contain medicated oral-gels, flavored to suit smaller pets. 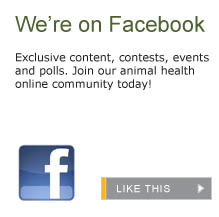 Now pets can get the medications they need and be treated to great tastes like natural chicken and fish or yummy fruity flavors like banana and tropical punch. With just two steps, a no-mess applicator, and no tiny markings to read, you can rest assured that your pet will receive the precise amount of the compounded medications prescribed for them. Mix it with baby food or apple sauce for animals who won't take a gel orally. 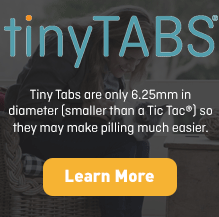 Our exclusive Twist-a-Taste technology is simple, easy, convenient and is another tool for pet owners to help make sure that pets take the medicine that the doctor prescribes. 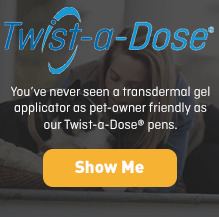 To see if the oral gel you need is available in the Twist-a-Taste applicator, use the search box at the top of this page or call our customer care center at 877-357-6613.